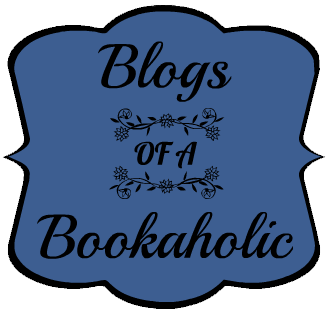 Waiting On Wednesday" is a weekly event, hosted by Jill from Breaking the Spine, that spotlights upcoming releases that we're eagerly anticipating. Now that I'm particpating in The 2012 Debut Author Challenge I have a gaggle of books I'm waiting on. Here are my top three. Matthew has loved Ariel from the moment he found her in the tunnels, her bee's wings falling away. They live in Safe, an underground refuge for those fleeing the city Above. . . one terrifying night, an old enemy invades Safe with an army of shadows, and only Matthew, Ariel, and a few friends escape Above. As Matthew unravels the mystery of Safe's history and the shadows' attack, he realizes he must find a way to remake his home--not just for himself, but for Ariel, who needs him more than ever before. This is Bobet's first novel and it is a stand alone novel, which aren't easy to come by nowadays ! I want to read this book mostly so I can compare and contrast it to Dearly, Departed. Revamping of fairytales has become very popular lately (ie Grimm, Once Upon A Time, Mirror, Mirror etc.) and Cinder seems to be a blend of many different genres. I actually just finished Cinder last night. It was pure love! Something Strange and Deadly sounds very good! I adore the cover!! Above sounds very good too! I've seen this cover quite a few times. 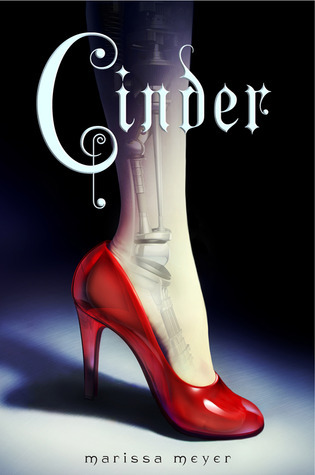 Cinder---I've heard good things about this book. The cover looks a little creepy. Great choices! Thank you for sharing! The title and the synopsis sounds really gooood! 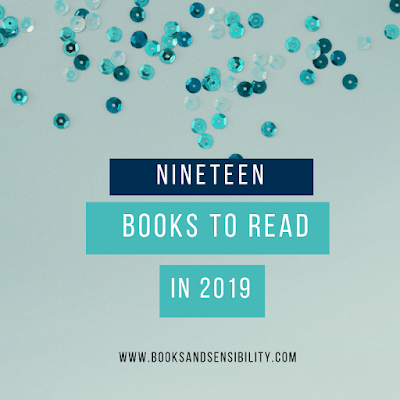 definitely waiting for all these great books! Eeep! I've been pining for an ARC of "Above" because I can't wait for next year! haha :X Great choices! Great picks, so excited for these all! Been hearing Cinder is great. Come visit me as well. Great picks! I really can't wait to read Cinder. It sounds really good. All great picks and all three on my reading list as well! I have really high hopes for Cinder. :) I think it's going to be fabulous. I can't wait for all these! They all sounds so good. I've been looking forward to reading Cinder ever since I first heard of it! How can you go wrong with Cinderella and Cyborgs?? Great picks this week! Great choices! I can't wait to read Above, Strange and Deadly, and Cinder. Thanks for stopping by. Something Strange and Deadly sounds really good, it had me at, "The Dead are rising..." I'm absolutely craving Cinder~! Yes, yes and yes! I LOVED Cinder. 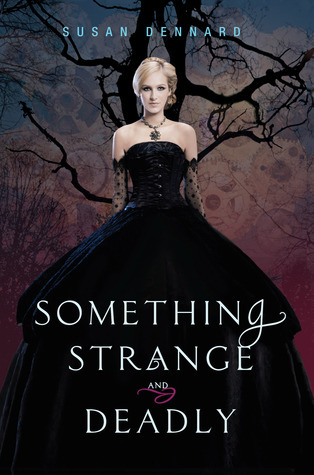 IT was so good, and after reading Dearly Departed, I'm craving Something Strange and Deadly. Above just looks so original and I can't wait to see what it's all about. 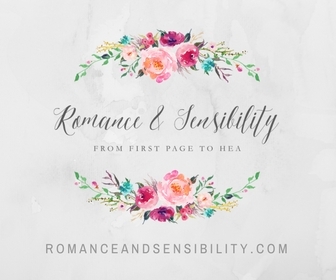 :) Fantastic picks and thanks for stopping by my blog! 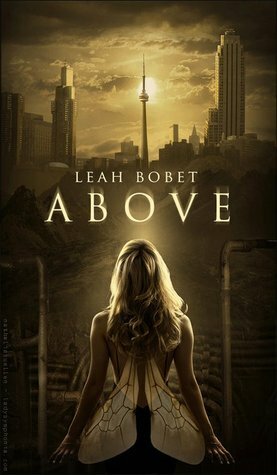 Woah, the cover for Above is awesome! :) I really want to read all three of those, especially Cinder! *jumps up and down* Covers like these are totally easy on the eyes. In fact they're like mega adhesives, gluing wandering eyes to their fabulousness. I love the idea of zombies in a time with big fluffy dresses and top hats, so I'll admit I'm the most excited for Something Strange & Deadly!